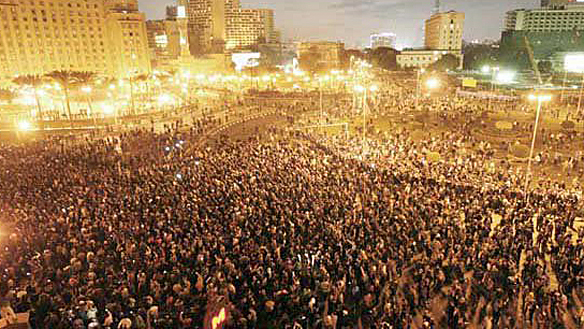 The news from Egypt is exciting & fascinating: the most populous country in the Middle East is working for democracy through peaceful protest & the call for Hosni Mubarak, dictator for 30 years, to step down & the entire government to be restructured. Mubarak’s regime has shut down the Internet in Egypt, and cell phone service has been interrupted on and off. Al Jazeera English has managed to continue coverage throughout the demonstrations, and is making their broadcast available online.